It began with a tip-off from a former head of an international humanitarian organization who used to be based in Zimbabwe. 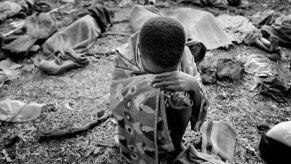 There was an explosive dossier detailing heinous crimes of the Gukurahundi — a series of massacres of civilians carried out by the Zimbabwe National Army in the 1980s — and had been kept under lock and key for decades. Earlier this year, the Botswana-based INK Centre for Investigative Journalism tracked down the mystery dossier and, in July, broke the story. Here’s how we did it.